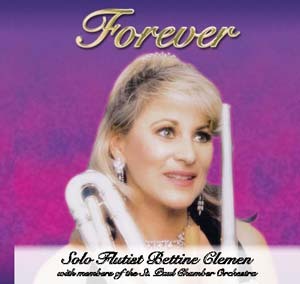 Internationally renowned Flautist Bettine Clemen has thrilled audiences in over 176 countries with her innovative Solo shows and has performed in some of the world’s greatest halls like the Lincoln center in New York and the Royal Albert Hall in London. 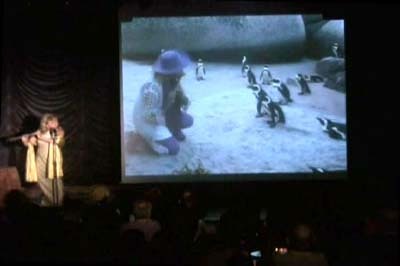 Her unique concerts combine many different styles of music ranging from light classical to Pop, Jazz and Ethnic with stunning videos of “concerts” for over fifty different species of animals in places like Petra Jordan, China, Japan, South America, South Africa, Sri Lanka, Alaska, Russia, and many places in USA. 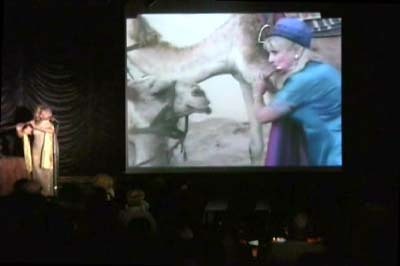 Be prepared to meet at least eighty elephants, two hundred and fifty thousand penguins, also a very ancient turtle, many camels and other exotic animals, all serenaded by Bettine’s music on seven different flutes. The New York Times reviewed a recent concert as "one of those events that smiles out from the stage." 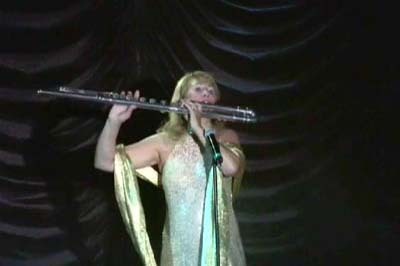 Bettine believes in the inter-connected nature of all creation which was inspired in her music by a period as solo flautist with the Belo Horizonte Orchestra in Brazil. 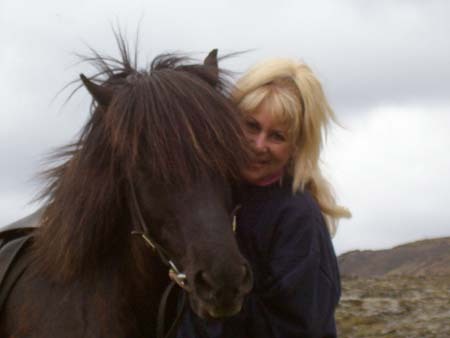 Her own composition, 'Love Song to a Planet' recorded with well-known Celtic Harpist Kim Robertson, was the direct result of this experience and is dedicated to the Cousteau Society. This same sensitivity to her natural surroundings is found in her other C.D's, notably, 'Forever' and 'Open your Ears to Love'. Bettine's music has been described as music that comes from the heart and nurtures the soul. It has always been her belief that music can be a tool to wholeness and well-being. She says, "Music is for all ages and all people and it can be healing when the sound is filled with love. It can uplift the listener's mind, body and spirit." 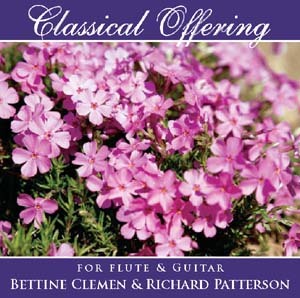 "Classical Offering" by Bettine Clemen & Richard Patterson features a collection of beautifully arranged classical works performed on flute, choral flute and guitar. By popular demand, these recordings have been re-released! Looking for a Christmas Album? 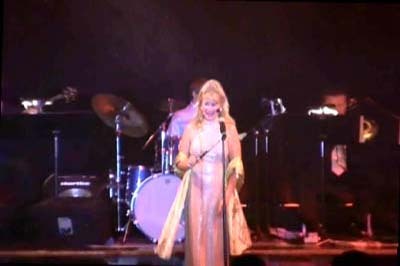 One of her Christmas albums, recorded with Guitarist Richard Patterson gained a nomination for 'best Christmas recording of the year 1991'. 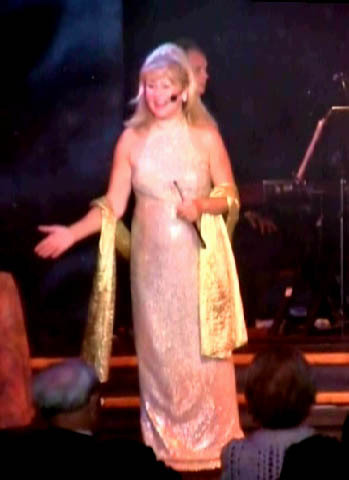 She has a number of recordings out with Richard Patterson as the Ware-Patterson Duo. 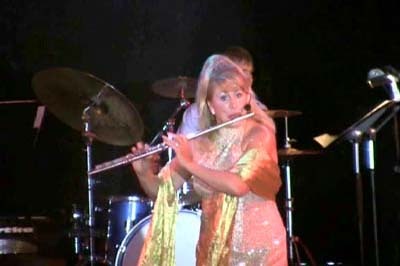 "Bettine's musical and artistic abilities are of the highest order; she is a superb flutist and expert on a host of folk flutes from around the world. She has directed all her energy, talent, and spirit to communicate her love and desire for a better future for all living beings on earth. 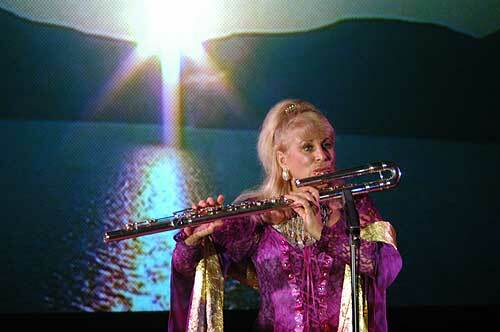 Bettine Clemen is the Pied Piper of the Planet. I would recommend her without reservations." "Flutasia: A Love Song for A Planet"
Click Here to learn more about "Flutasia: A Love Song for a Planet"
Copyright © 2019 Bettine Clemen, www.joyofmusic.com All rights reserved. Except for use in any preview, the reproduction or utilization of this content in whole or in part in any form by electronic, mechanical or other means, now known or hereafter invented, including xerography, photocopying and recording, or any information storage or retrieval system, is forbidden without permission of Bettine Clemen.